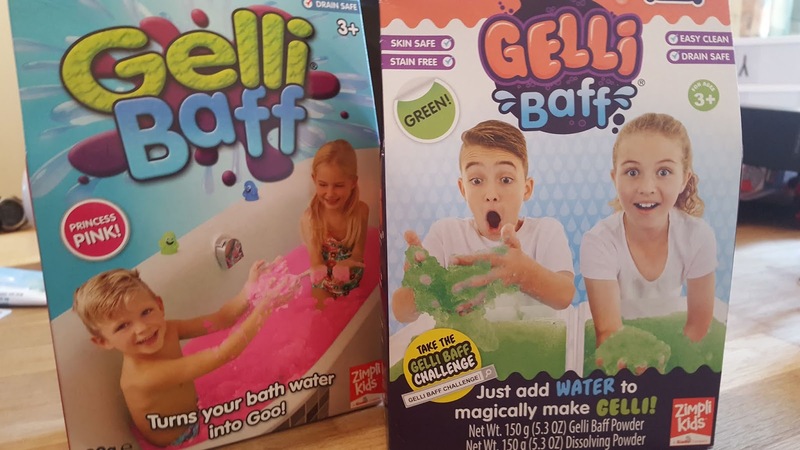 2 lots of Slime Baff and 2 lots of Gelli Baff in some amazingly bright colours! Olivia was so excited to see these and get stuck in – her favourite activities at playgroup are always messy play so that was no surprise! 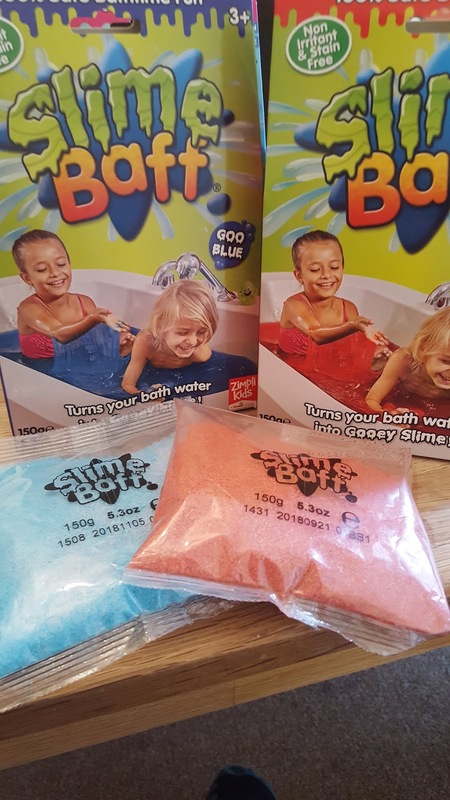 advertised a lot, however the Slime Baff is completely new to me, so I was excited to give them both a try out! We tried this one out first, in the gooey red colour! These are so easy to use – you run a shallow-ish bath (no more than 3 inches deep) and simply spread the packet in the water. 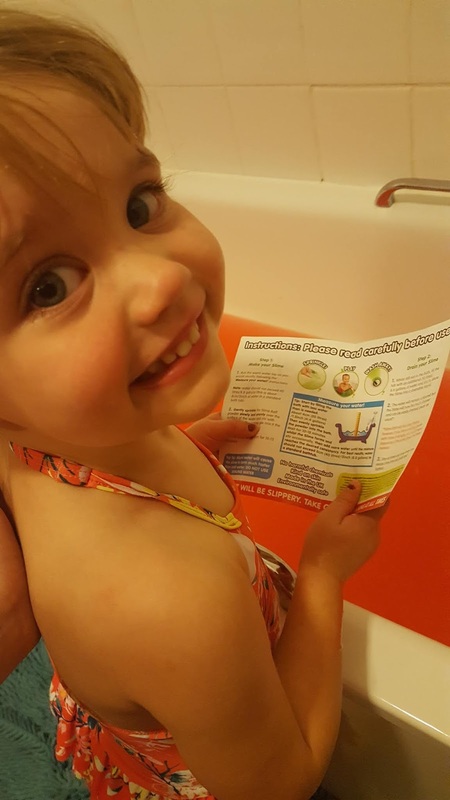 Due to me being an utter idiot, I managed to split the packet and lose some of the salts on the bathroom floor, but considering I did that, we still had a fairly slimy bath for Olivia to climb into! She helped to mix the salts in the water and loved the slimy texture! She couldn’t wait to jump in. Despite me telling her not to rub her eyes with the slime, of course, being a 2 year old, she did exactly that, but actually didn’t whinge at all about it stinging, which I was happily surprised about. I wouldn’t recommend dunking your child’s face in the slime, but at least you know that if they do get some in their eyes it’s not going to hurt! The next big task was cleaning the slime away, and this was incredibly easy! The bath was left totally clean without me needing to wipe it down or even turn on the shower to rinse the bath out. 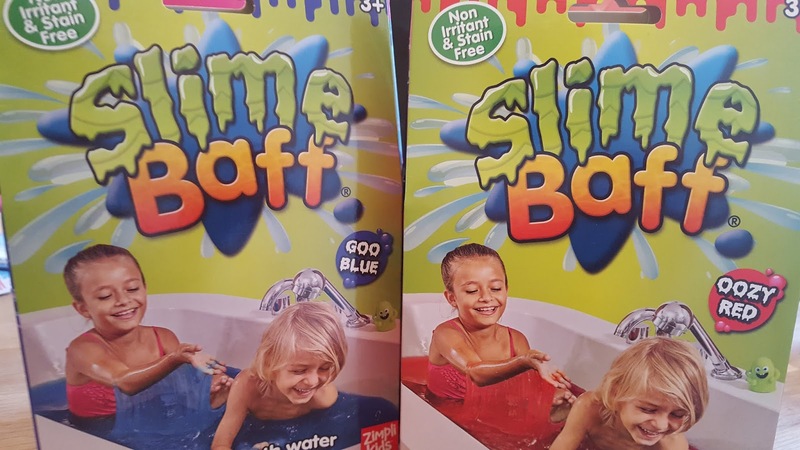 For the Slime Baff, you don’t even need to put in anything to dissolve the slime, it simply dilutes when you add water. We are rating a 9/10 for this product. 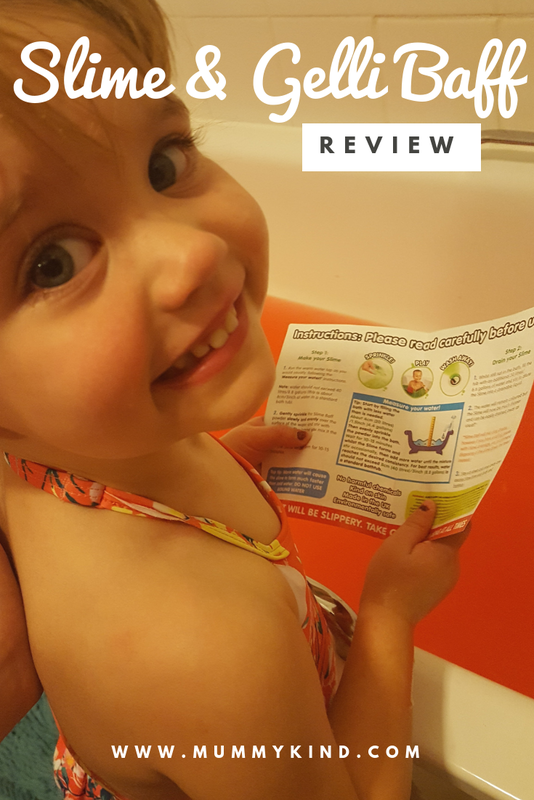 Olivia loved it, the only issue was me not being able to get the packet open and losing some of the salts, but overall this was a fantastic thing to try and a great way to make bath time loads more fun! For this one we ran slightly less water as I planned to only use half of the salts and save the rest for a messy play tray, but in the end we had to use the whole packet as the Gelli Baff took much longer to form than the slime did. 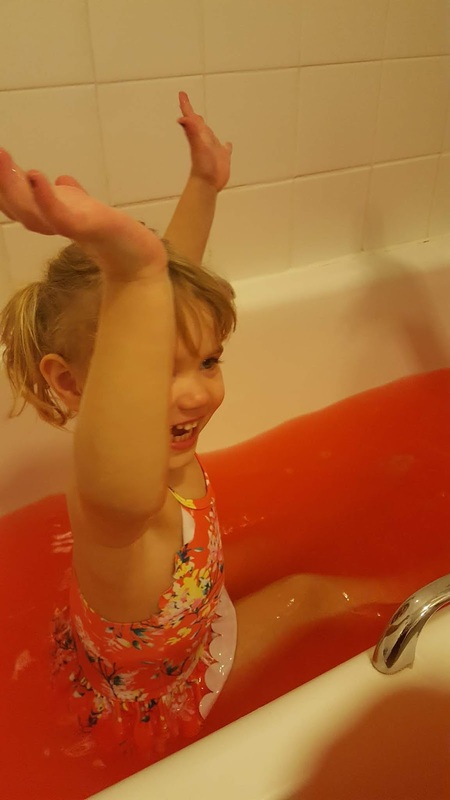 At first, when we mixed the salts into the bath water, Olivia wasn’t too sure of the texture and seemed not to like it, but she did prefer the bright pink colour as opposed to the red slime! scooping it up with her cup and throwing it over her toy duck, and then in turn liked me and Daddy putting it on her back and shoulders and throwing it at her. Safe to say, it got a bit messy! 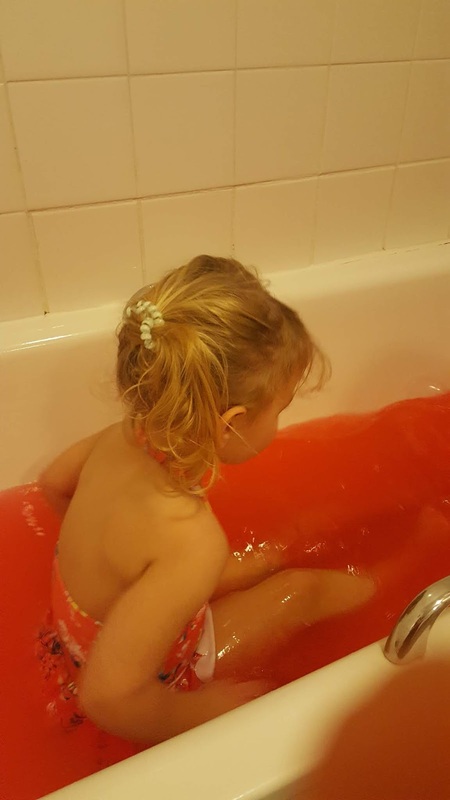 As I said, the Gelli Baff took a while to form (I would say about 20 minutes in total) but once it formed Olivia really loved it. With cleaning away the Gelli Baff, we had to use the white dissolving salts. Once we put the salts in and mixed them with the Gelli Baff, it turned back to liquid pretty much instantly. The only downside was that once it had gone down the plughole, the bath was left a bright pink colour! I tried to rinse the pink away with the shower head but had to use our normal Flash spray bleach and wash it away before we could pop Olivia back in to wash the gelli off of her! All in all, I think we would rate this one as a 7/10. 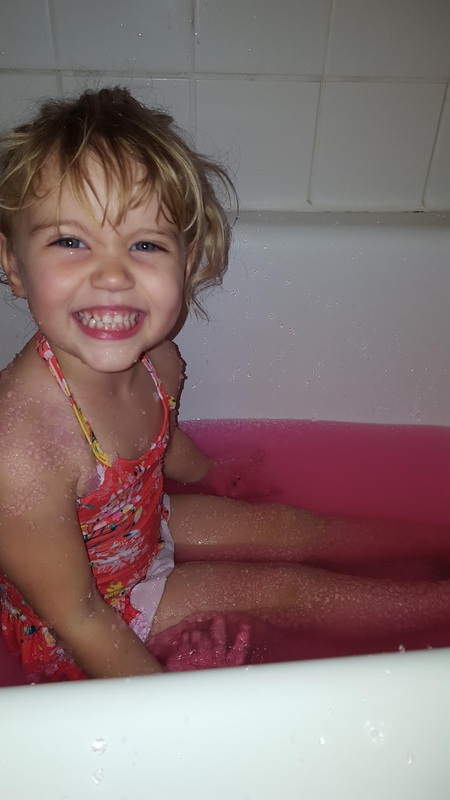 Even though Olivia loved this one and said the pink bath was her favourite, for mums and dads this one is just slightly less easy to clean away than the other one. 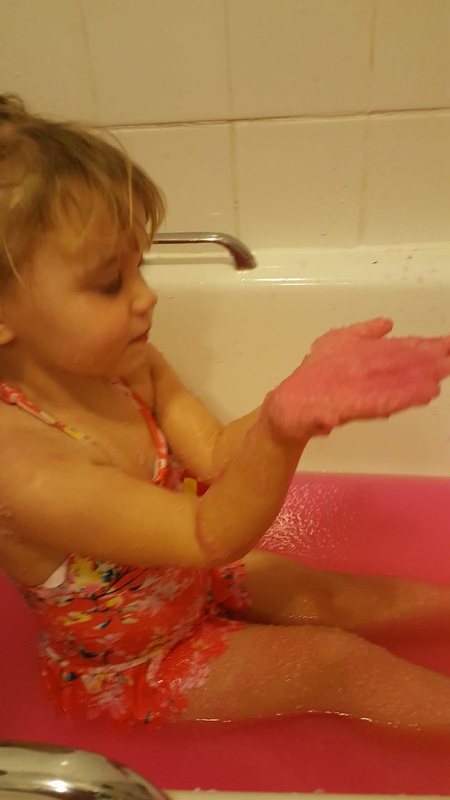 We had to take Olivia out of the bath to clean it out, meaning we ended up getting bits of gelli on the bath mat and towel! It’s no big drama, and I would use this again, but on the smaller messy play tray scale rather than in the bath! Both of these products from Zimpli Kids were great fun! Overall, the Slime Baff won for us, but I’d definitely buy both of these in the future. 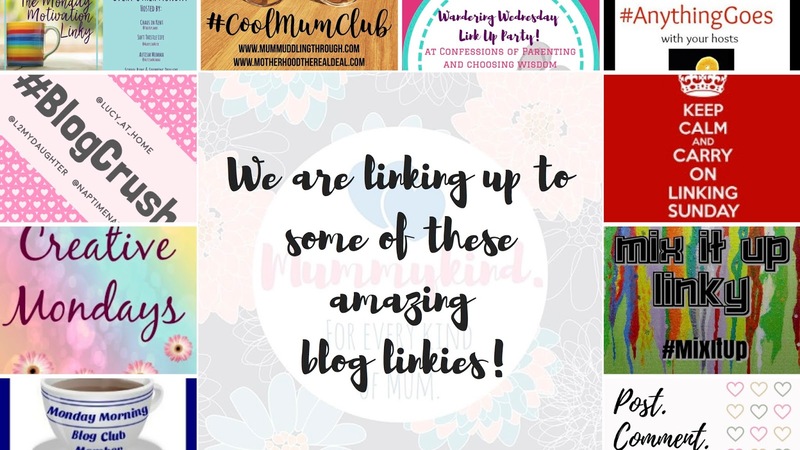 Thank you for reading and let us know if you’ve got these for your little ones!